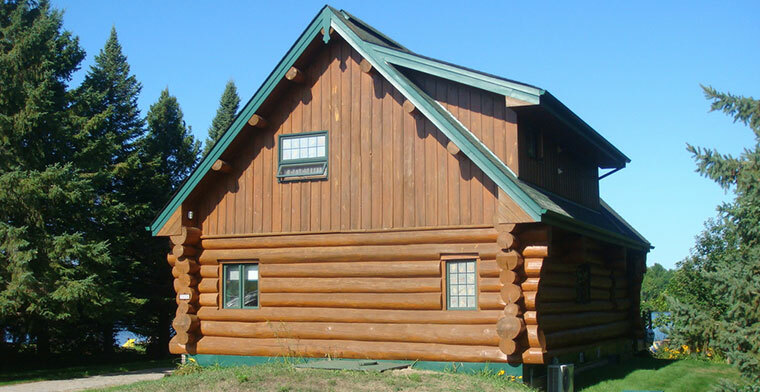 Log homes are beautiful to live in but require maintenance like all buildings. 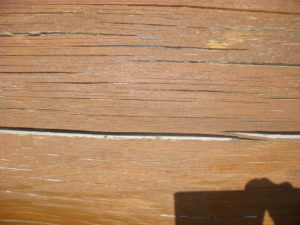 Below are examples of problems that can arise over time as the logs crack open and moisture gets in. 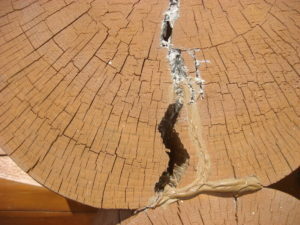 In the first picture, at the end of the log, you can see the crack where wood-eating insects can enter and cause internal damage. 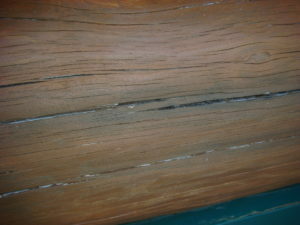 The second picture shows lateral cracks running the length of the log, and in the final picture, the rot is setting in, and can be a gateway for insects. 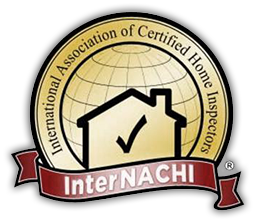 Due to the nature of wood itself, these cracks are common, therefore, it is important for the home owner to use paints, stains and exterior caulking to seal the cracks.